With a new cast and a new stage, Vishwa Shanthi Performing Arts is thrilled to present an operatic ballet performance "Samudra Manthan: Churning of the Milk Ocean"! This grand performance is so visually captivating you will feel the musical transporting you to an ancient tale of Hindu Mythology. Director Shreelata Suresh will present a classical Indian dance style of Bharatha Natyam on Sunday, November 1, 2015 in two shows at noon and 4pm located at Woodside High Performing Arts Center. Unlike a typical Indian dance performance, the operatic dance brings together more dancers, characters, stories, and energy! This event is complete with entertainment, tasty Indian food, and traditional Indian crafts and jewelry. Half of all proceeds from these shows will benefit Worlds Art West and the San Francisco Ethnic Dance Festival. 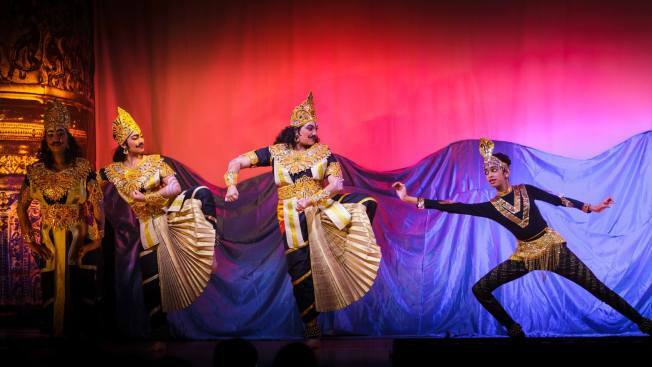 What: Samudra Manthan - a Bharatanatyam operatic ballet.